Also, Try this alternative method which makes removing entire start menu strips even easier! So you read the guide on Adding New Start Menu Strips and now you want to remove that Movies strip and replace it with a Media Browser strip. Maybe you just aren’t that into sports and want to get rid of the Sports strip. Either way, there's a hack to get rid of those unwanted start menu strips. First we need a couple of tools to get us through this hack. A resource editor is required, Restorator is my personal favorite for it’s ease of use and that’s what will be used in this guide. Unfortunately, Restorator isn’t free but does have a trial version available. It’s well worth the price if you plan on doing a lot of Media Center hacking though. While the XML files we’ll be working with can be edited in something such as notepad Microsoft has a free program that will make this a lot easier. Download XML Notepad 2007 free from Microsoft Download. This free little program is extremely handy for editing XML documents, which are the basis of much of Media Center’s layout. Now we need to get the files to work with. You will need to get a copy of “ehres.dll” from “\Windows\ehome”. Also, be sure to have the “Take Ownership” registry fix installed as it will be needed later on. Make two copies of “ehres.dll”, one should be a backup kept in a safe place the other will be for editing. Open your “ehres.dll” for editing in Restorator. There should be a number of folders listed on the left hand pane. Expand the html folder and scroll down until you find “startmenu.xml”. Click the file and drag it to your desktop or anywhere on your hard disk for editing. Now that you have a copy of “startmenu.xml” open Notepad 2007 and load the file. Once you have “Startmenu.xml” opened in Notepad 2007 you will see a couple of folders ad some xmlns declarations in the left hand pane. It will most likely be quite intimidating to anyone not familiar with XML but we can ignore these for now and just expand “home:StartMenuData”. Then expand the next three folders inside, “Categories”, “constraints:ConstrainedList” and “Source”. Now you should see a large list of folders. We aren’t concerned with the first twenty of these folders as they are placeholders for the extra programs strip. After these first placeholder folders you will notice a couple of folders marked “constraints:ConstrainedItem”. These are the first few start menu strips, pictures and folders. Expand these folders as well as the “Value” and “home:StartMenuCategory” folders and you will see an entry marked “StartMenuCategory”. On the right hand you will see “global://Pictures:PicturesSMC”, this tells us that this is the entry for the Pictures strip. Expanding each of these folders you will see entries for each of the available start menu strips, including Now Playing, Movies, Music, etc. To remove any of these strips simply select the main “home:ConstrainedCategory” folder for the strip and delete it. Then save the “Startmenu.xml” file. Now that you’ve edited “Startmenu.xml” and saved it the time has come to reapply it to the “ehres.dll” file. Make sure you’ve got Restorator open and your “ehres.dll” file for editing is loading. Either drag the edited “startmenu.xml” onto the “startmenu.xml” listing in Restorator or right-click the file in Restorator and select “Assign > Assign to..” and choose your edited xml file from the dialog. Once the new xml file has been added to the “ehres.dll” file save the .dll with Restorator. This should create two files with the default settings, a backup and a new “ehres.dll”. Copy the new “ehres.dll” into the “\Windows\ehome\” directory. To successfully copy the file you will need to have the “Take Ownership” registry fix installed. With the fix installed, right-click the original “ehres.dll” in the “ehome” directory and select “Take Ownership”. You should now be able to copy over the original file. Be sure you’ve got a backup before proceeding though! Once you’ve got your “ehres.dll” replaced, relaunch Media Center to check that the start strip you wanted to remove is gone. That should be all there is to it. If Media Center crashes upon starting or you’ve removed the wrong start menu strip by mistake replace your “ehres.dll” with the backup you created. Then you’ll have a fresh start to try again. A crash is most likely caused by an incorrect XML edit. For even more tips on hacking your Windows 7 Media Center be sure to subscribe to the Hack7MC RSS Feed or follow on Twitter for the latest! This is a bit brutal in terms of delving into the guts of the registry. It's definitely not a simple hack but it does save some confusion when the wife is using Media Center and looking for the Movie Library. Making Media Browser the only option on the start menu was the best solution for our setup. I would have liked to set Media Browser to open when clicking the default Movie Library icon and I'm working on that as well. Those registry settings don't exsist in Windows 7. Microsoft has changed much of the way Media Center's start menu is setup in Windows 7, even though it doesn't appear to be much different from inside Media Center. This is the same reason MC Menu Mender no longer works in Windows 7. "I would have liked to set Media Browser to open when clicking the default Movie Library icon and I'm working on that as well." Same thing with me! I was looking for a way so that when I press Recorded TV it opens up myTV and when I press Movies it opens Media Browser. Hope you find a solution soon!!! I tried those registry settings and they do work with one exception, the movie strip. There is no key listed to add or remove it in that list. If one can be found that would make for a much easier method for removing the default strips. I'll make a guide to using these registry settings for tomorrow, if anyone knows the id number for the new Movies strip post a comment to let me know. If you remove the Movie Library strip - is it still possible to have the Play DVD launcher because wouldn't that be removed as well ? Inserting a DVD into the drive normally shows a pop-up dialog asking if you'd like to play the disk but yes it would remove the entry from the start menu. This definitely isn't a hack for everyone but useful for anyone looking to trade in a default menu strip for say a Media Browser strip. I cant believe this is something that even needs to be hacked in the first place. Leave a comment using any OpenID including Yahoo!, AIM, Google and more. You can even leave an Anonymous comment below! Hack7MC has left Blogspot for a new home. Following the original address @ http://www.hack7mc.com will take you to the new home page. Follow on Twitter! Bookmark on Del.icio.us StumbleUpon It! Don't Miss A Thing, Subscribe to Hack7MC's RSS Feed! Keep up to date with Hack7MC! Subscribe to the RSS Feed or Follow on Twitter. 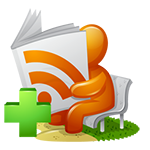 Don't have an RSS reader or not sure what RSS is? Check out Google Reader.